Before either of you were born, Papi and I had some conversations about the jolly man in the red suit. We weren’t opposed to him — just opposed to the confusion that his non-existence might one day cause you. I remember figuring out that Santa wasn’t real during my elementary years and asking my parents, horrified, “Is JESUS not real either? !” Because our culture puts Jesus and Santa about on the same level, you can see why there was some confusion. I didn’t want this for you two, didn’t ever want Christmas to be about Santa Claus, and so we decided that we would just… ignore him. Ignore him until one of you forced us to contend with him. And this year? Was the year that you forced us into it! We had never said anything either way. How did you pick this up?! And how did THAT rank above all that we HAD said about the birth of the baby Jesus?! It blows our minds, I tell you. And so the more we tried to explain it, the more confused you became until finally, we dreaded any mention of the man in red, knowing that our answers didn’t clarify anything. What a mess! After much discussion and contemplation, we’ve decided to roll out the red carpet (no pun intended) for Santa. Some of our friends will likely gasp in horror at this and other friends will wonder why we’re making a mountain out of a molehill, but we figure that at four and three, it’s far MORE damaging to believe that Santa (who isn’t even real) is skipping your house than it is to believe in a fairly tale for a little while longer. You girls totally believe that Mickey Mouse is real and lives at Walt Disney World, and we think that’s just wonderful. So how different is it that you’re going to wait up for a herd of reindeer and their jolly master? Not that different at all. All that said, I write this to you girls to say this — we sure did try. We tried to keep the confusion about this holiday at a minimum. I hope that as you age and mature, you’ll know more fully, more age appropriately, that Christmas is not about fanciful characters but about the very real Christ. We’re so thankful that He’s important all year long and not just in these very brief few weeks leading up to the celebration of His birth. Ana, we sure are sorry for the Santa drama we’ve put you through this year. But I’m pretty sure that you’re in the clear and no worse for the wear, as you have spent a whole lot of time explaining how this whole Santa thing works to Emma, who is equally enthralled. And it’s better you than me, sister, because had I been explaining it to her, she would likely be more confused than you ever were. Oy! Any Santa drama in your family? I am so glad that you posted on the “Santa” drama. We have had our our “Santa Drama” in our house. But it is with Marcus (8)..
We have always had santa come and all that.. Just like when I was growning up. The we went to church one sunday.. This is how the conversation went. Well then this lead to more conversation about Jesus's Birth. It is amazeing to me what he picks up in church.. He will tell me “Mommy I figued it out all by myself” and is so proud that he knows what CHRISTmas is really about. I just told him that if he told his brother or if he did not “believe” in Santa he would not get any presents.. lol … Just thought it was funny.. 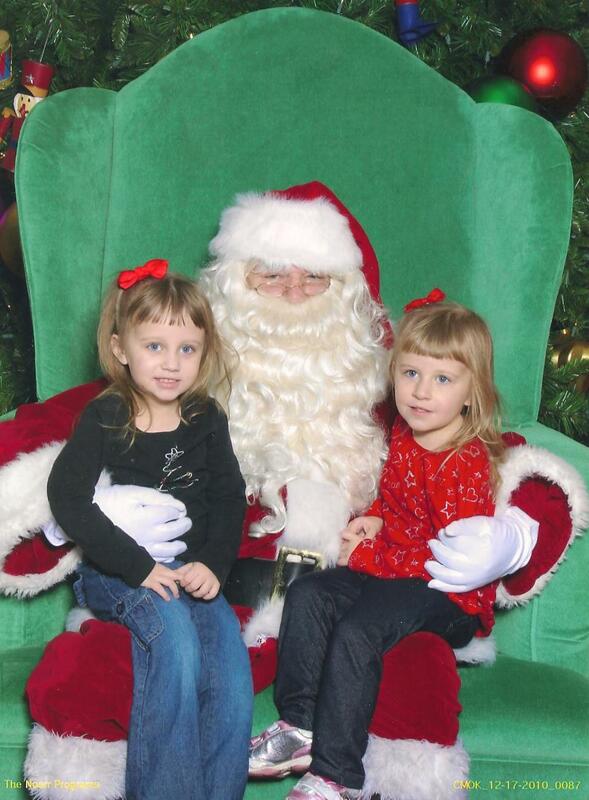 So that is my “SANTA” Drama…. My Boys is getting so big! !